The NOVICE CLASSES are an important program at our BOX. This will give new CrossFitters a strong foundation to build on. If you are a new member in our community and just starting your CrossFit journey, please make it to the 7:30PM NOVICE CLASS Today and 5:30PM Friday. The BODYWEIGHT/GYMNASTICS CLASS is a success and will be ongoing! It is now scheduled for WEDNESDAYS at 4:30PM. Stay tuned as we are planning on an additional Saturday time slot. Pastor Tim Wood officiated our wedding at this special church. Coach Michaela and I are grateful for the many blessings thereafter. 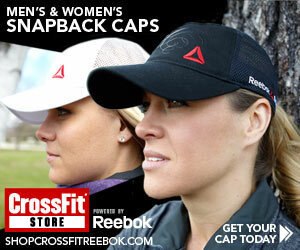 CrossFit apporoved Reebok gear can be purchased at the CrossFit Store!